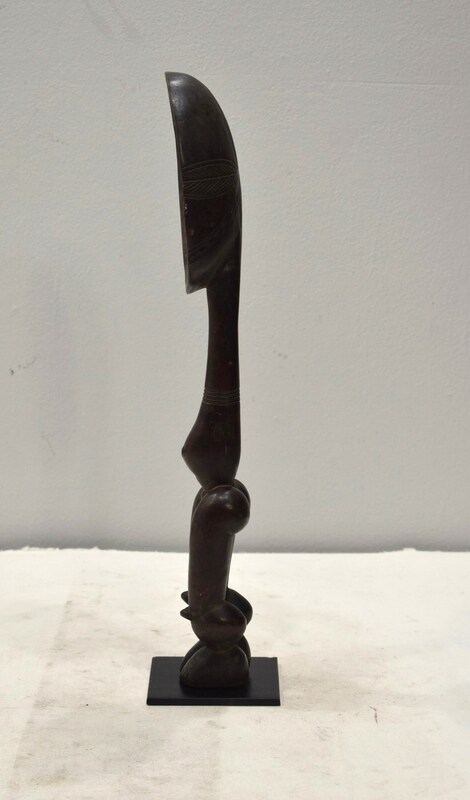 This is a beautifully Carved Old Wood Dan Ceremonial Spoon with a Cowrie Shell from Liberia. The Dan peoples honor the woman who is the most hospitable. She is the one who can not only feed her household, but with a generous hand accommodate unexpected visitors, traveling musicians and seasonal farm workers. 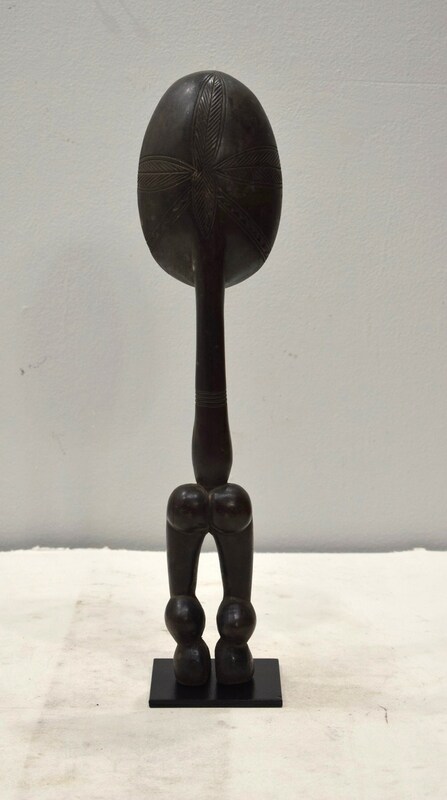 The emblem of her achievement is a specially carved ceremonial ladle/spoon that embodies the spirit of generosity and may sometimes be a generalized portrait of the owner. It may take the form of either a scoop or oval spoon with a handle ending in human legs or with a handle topped by a female face with a careful coiffure. 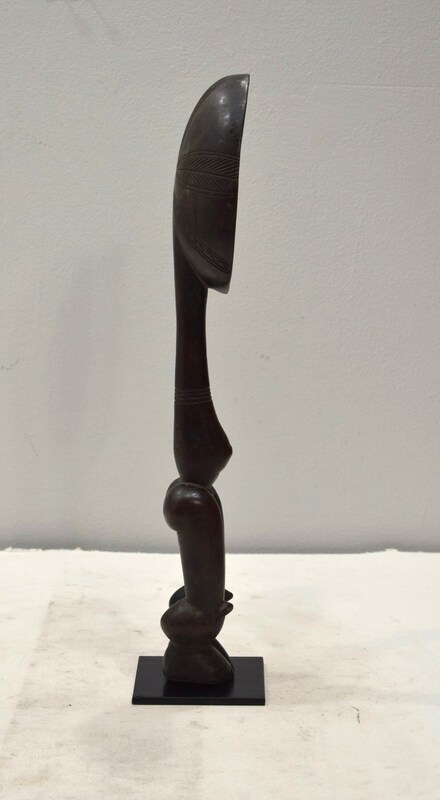 On special occasions, the honored woman holds the spoon as she dances with attendants through her section of town. 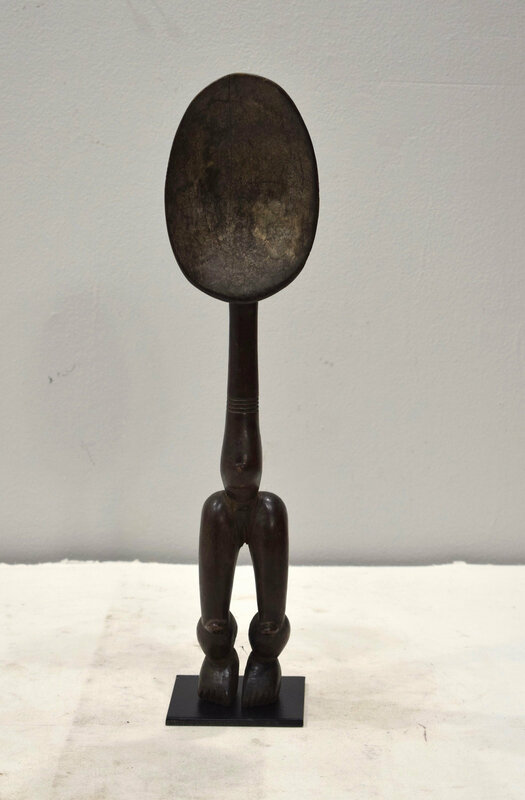 This spoon would be a lovely addition to your collection or home. This spoon shows age, discoloration, but in good condition.